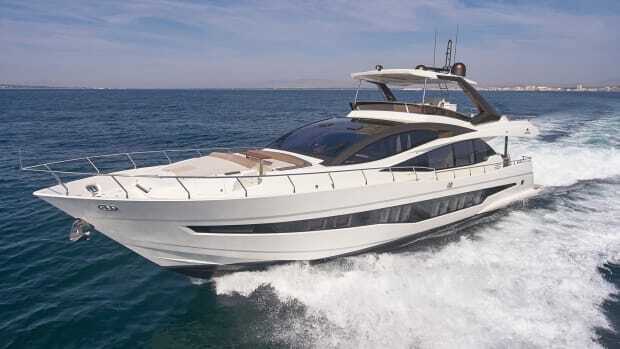 To recreate the Sanlorenzo SX88 for an American audience, designer Marty Lowe started with a high-style interior. 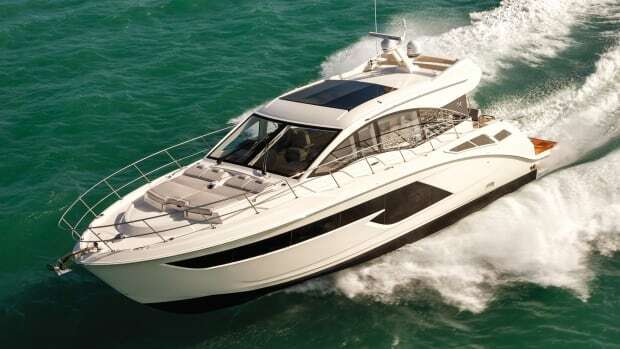 With Volvo IPS propulsion, the SX88 tops out at 23 knots. 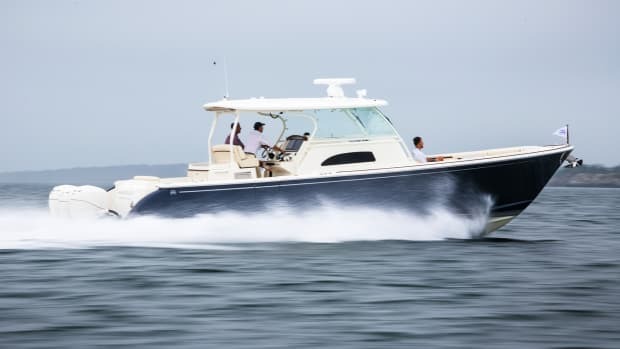 When the Sanlorenzo SX88 powered onto the international stage in late 2017, it made waves as the first in a new series of crossover models that pairs the best features of the builder’s flybridge yachts with its explorer series. 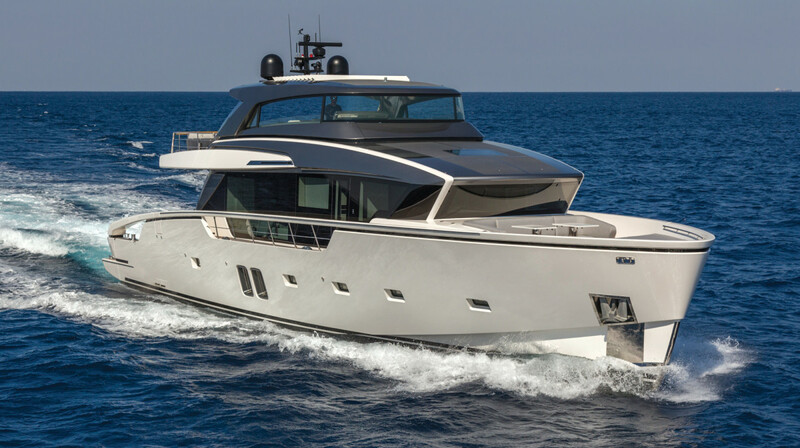 The angular exterior lines by Officina Italiana Design captured the ethos of a yard that’s focused on art and aesthetics, and the semi-displacement hull by Lou Codega drew approving nods from serious cruisers. For Hull No. 1, Architect Piero Lissoni of Milan conceived the interiors, and while bold and beautiful, his iteration was very European. Now, the yard has splashed a version for the Americas, and it too is taking those with an eye for innovative style by storm. 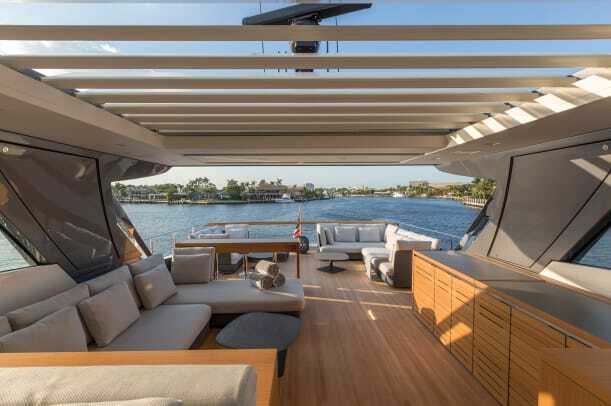 Designer Marty Lowe of Ft. Lauderdale put her own fresh take on the SX88, tailoring spaces for the preferences of crews on this side of the Atlantic. 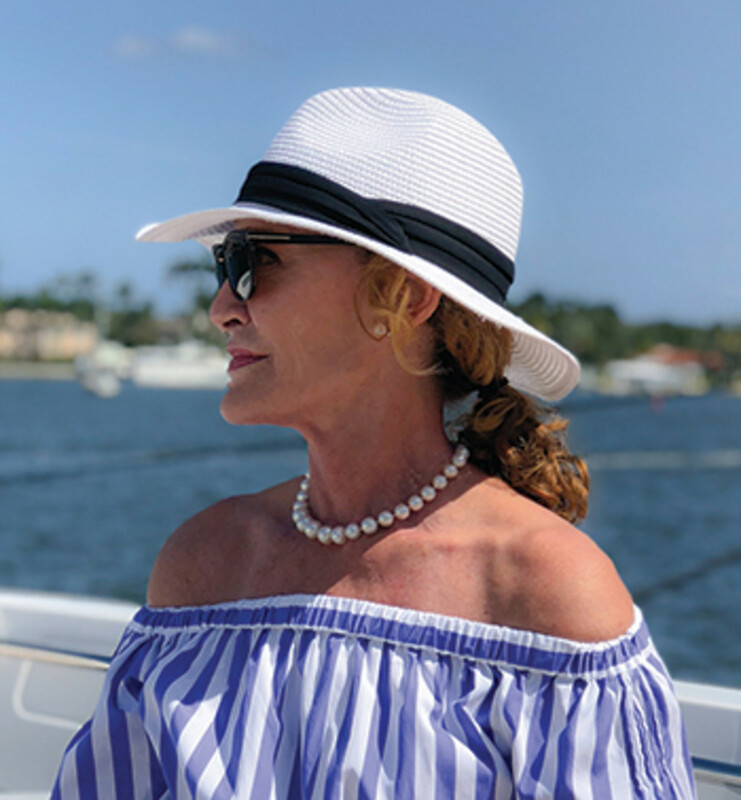 I toured the boat with her in Miami to learn more about a yacht that she says is all about being one with the ocean. 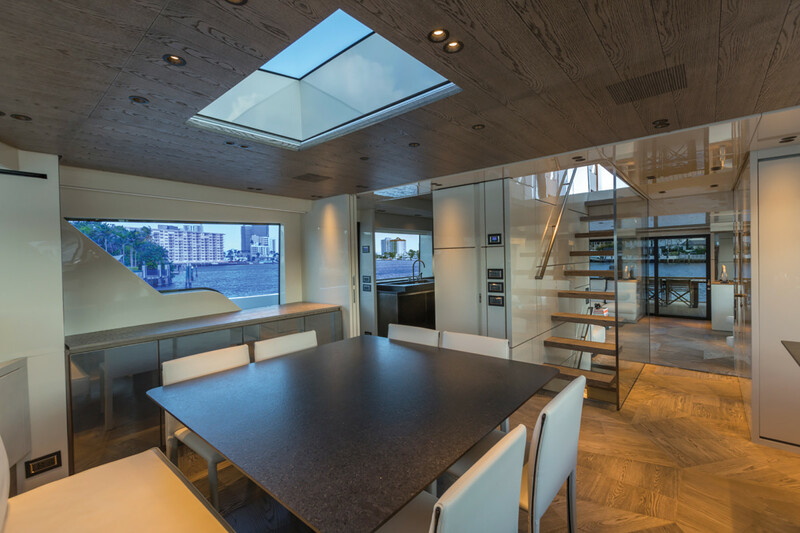 At the forward end of the main deck, the galley can be closed off from the dining area with a door that’s concealed in the bulkhead. 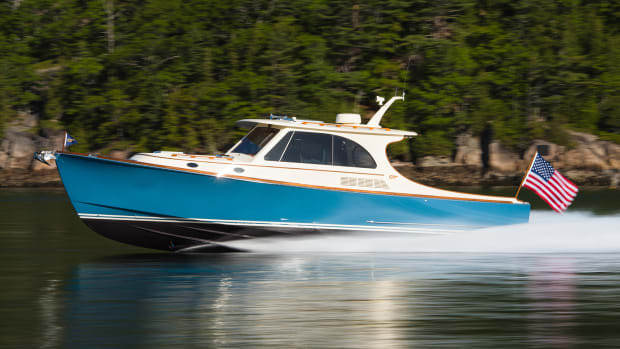 Power & Motoryacht: What was the design inspiration for the American version of the SX88? Marty Lowe: It came together around the idea of an urban loft on the sea. In architectural terms, a loft is a space without frames and corridors. 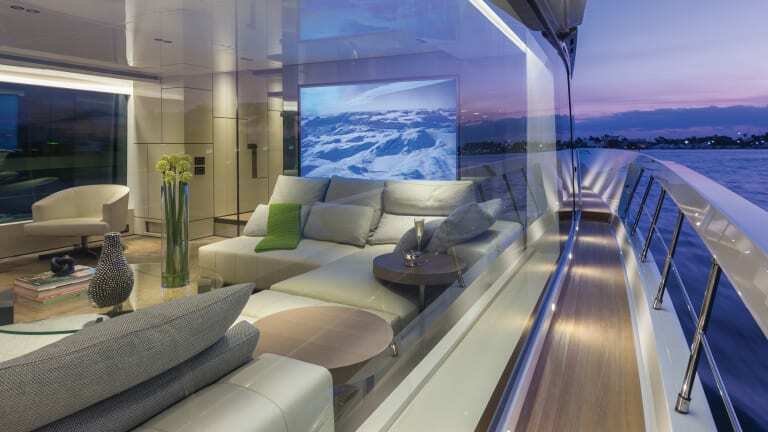 Because the living areas here are so open it’s possible for everyone on board to be in constant contact with the water and light that surround them. We applied that concept to the styling while pushing the envelope a bit. So, you took a few chances with the interior design. In what ways? I started with that loft concept, and then the idea of industrial design came to my mind. 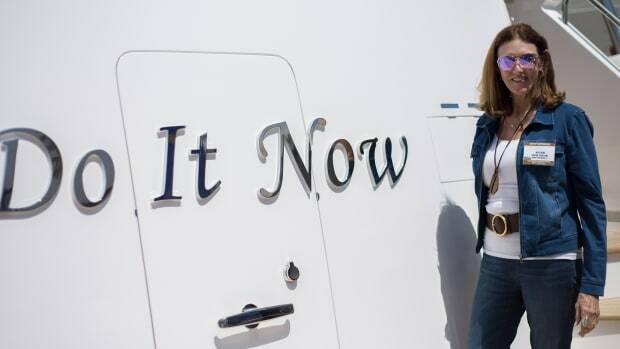 That’s not something people typically associate with a yacht, but I thought, ‘Why not?’ I think of it as elements in a raw, unfinished and beautiful state. So, there’s this industrial vibe throughout the boat. In the salon, for instance, the flooring pattern is reminiscent of reclaimed wood in a factory, only the sole is covered in oak that’s been stained and sanded down to a worn, warm patina. And at the central staircase, instead of a conventional balustrade, we used vertical tubes with a graphite finish. This tube motif is repeated throughout the boat, in light and bath fixtures, right down to the rods in the hanging lockers. We kept building on the idea because the eye likes cohesion. Which areas did you find most challenging to design? 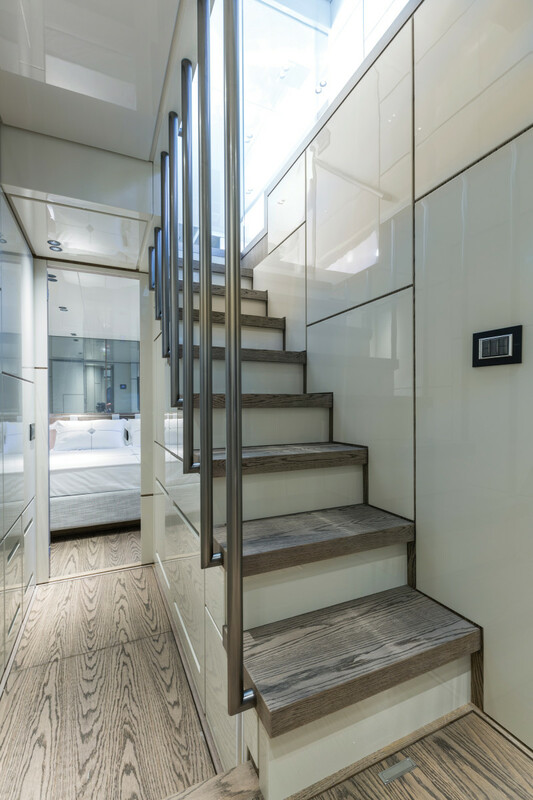 The aft main deck is always a challenge, mostly because you have to question whether the owners will want to lounge or dine in this space. The reality is, most people don’t dine inside as often as they think they will when they buy the boat. They end up taking meals outside. So, I created this space with an alfresco lunch in mind, for a large group who plan to sit out here for hours, eating and watching their guests on the beach club and in the water. It’s part of that lifestyle of being one with the sea. 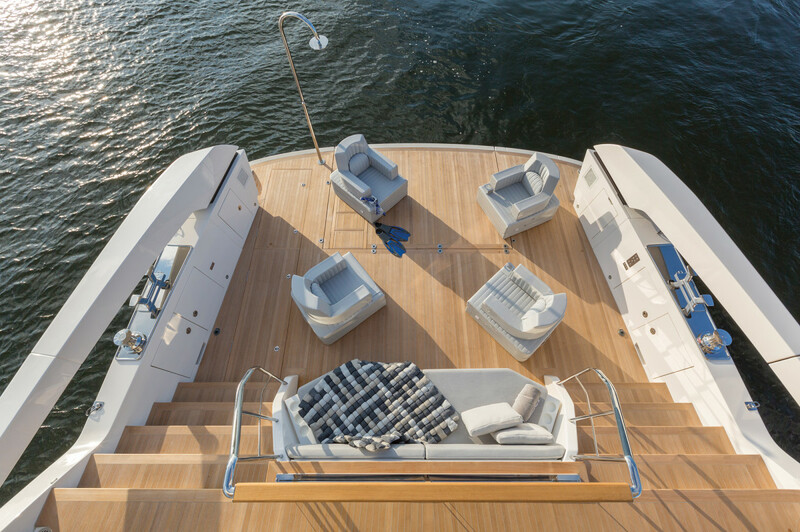 Everything on board was designed around the idea of celebrating life on the water. 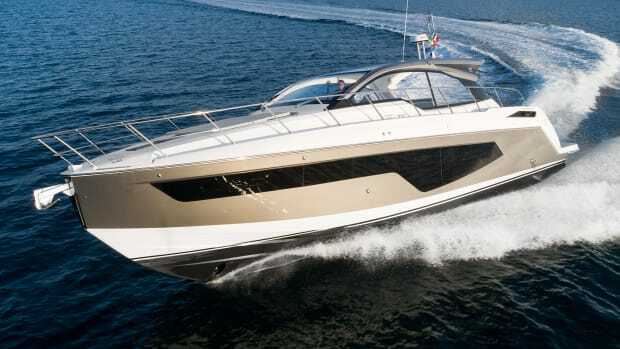 Unlike the European version of the SX88, this boat puts an emphasis on the dining and food prep spaces at the forward end of the main deck. Why? I like the galley. It has an ingenious door that allows you to open the space up to the dining area or close it off completely, as if it were a closet. You just fold up the door and slide it into a pocket frame. We worked hard on that, because, yes, Americans like a more informal space for meals, but after dinner, they may want to close off the galley and give the crew a chance to clean up while they step outside to look at the stars. The choice of black for the galley cabinets was bold. The cabinets are lacquered, and we worked through sample after sample to get the luster just right. Flat black wouldn’t have been enough. I wanted a patina, almost like a piece of metal. 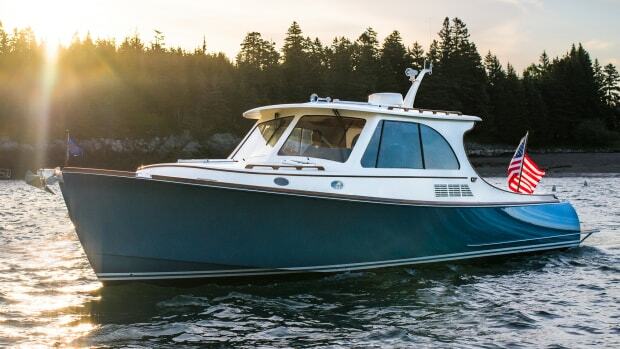 You’ve been designing boats for the Americas for well over a decade. 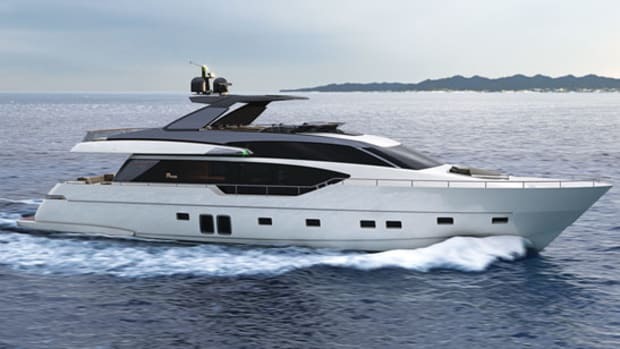 Which features on this Sanlorenzo will owners in the U.S. like most? The flybridge. Yes, the interior is important, but owners will spend a lot of time outside, and this bridge is very livable. The hardtop has electric louvers that open the space to air and light, although you can enclose the area, too. There are plenty of conversation areas, plus little gems, like the Philippe Starck stools. 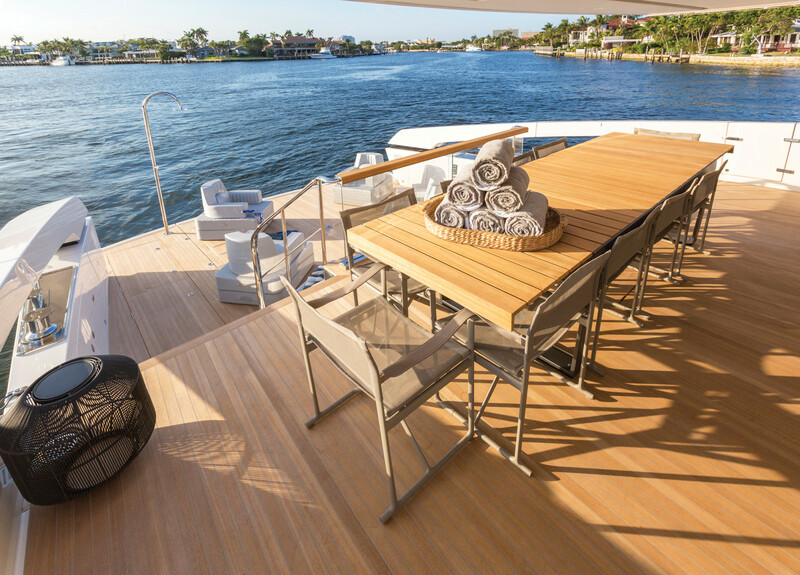 “Deliberately casual” is the term Lowe uses to describe the style of the SX88, and that atmosphere is achieved on the aft deck, with its oversized dining table (above) that overlooks the beach club (below), where there’s 323 square feet of space to keep guests close to the water. It’s very large for a boat in this size range. The bow is another great outdoor space. What were you thinking when you developed the layout? Traditionally the bow is arranged as a technical area where the crew can work, and we need to respect that. So, while there is a sunpad that extends full beam, the center cushion can be removed to create space for crew to walk forward. There are lounges and a table here, too. I was thinking of teenagers when I did this area. It serves as a nice place to head to when you want to get away from the party. I like to give passengers a variety of places to go when they’re on a boat. You’re creative with materials. How did lava stone make it onto the SX88? Mount Etna in Sicily was erupting at the time we were working on the boat, so we were able to get lava stone from there and use it in a few places. It’s hard rather than porous, it doesn’t stain and it has that naturally rough texture I was looking for. I was also able to use marble from the mountains of Carrara, which are near the Sanlorenzo shipyard. The mountains are beautiful. You think they’re covered in snow, but it’s marble. When people walk through this Sanlorenzo, it seems they can’t help but touch everything in their path. It makes me feel good to hear that. I like to give guests tactile experiences. I like organic things because there’s beauty in natural materials. That goes for linens, too. 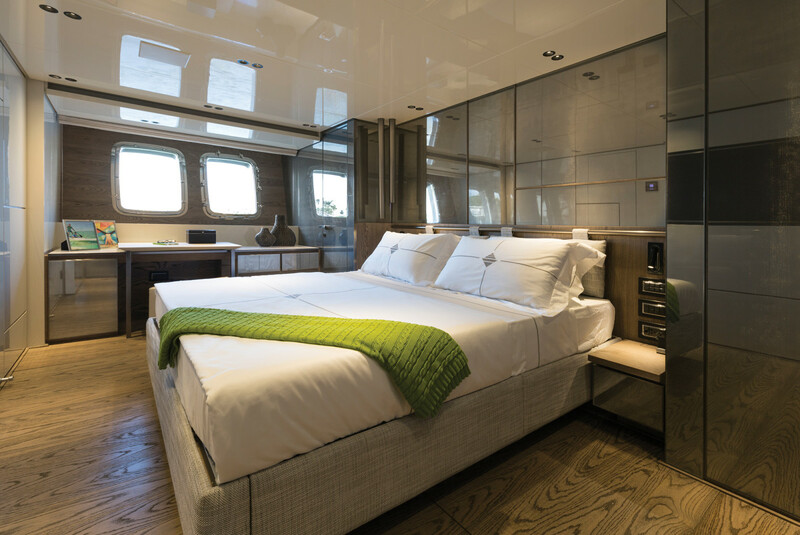 On this boat, beds are covered in crisp linens that are meant to be slept under. We don’t do fabrics that you have to turn down. We want a laid-back vibe that’s not too precious. And this gets to the heart of the philosophy behind the design. A vacation on the water is unique. You may dress for dinner, but you’re still barefoot. So, to that end, everything on the SX88 was chosen to be deliberately casual, to be simple and elegant. That’s boating. The salon on the SX88 is exceptional for all its bright and open space. 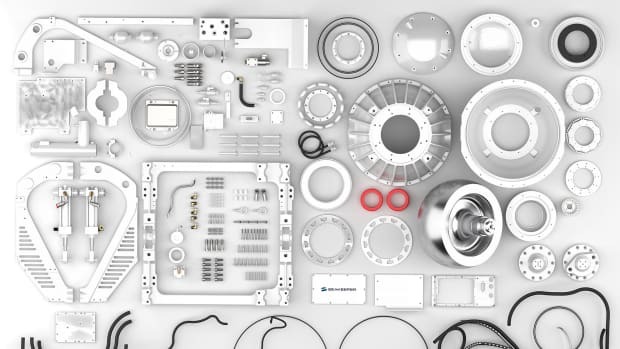 Here’s how Marty Lowe enhanced those features to create seamless style. The master stateroom is one of four en suite cabins on the accommodations level.